Srinagar Sep 15 (IANS) A youth was killed in clashes between protesters and the security forces at the gunfight site in Jammu and Kashmir s Kulgam district where five militants were killed by security forces on Saturday. Police said the protesters resorted to heavy stone pelting at the security forces in Chowgam village in Qazigund area. "Two protesters sustained gunshot injuries during these protests. Rouf Ahmad Ganai 24 was shifted to hospital immediately after he sustained a firearm injury. He however succumbed en route to the hospital " a police officer said. Twenty other protesters have reportedly sustained injuries during the clashes. Two of them apparently received gunshot injuries. 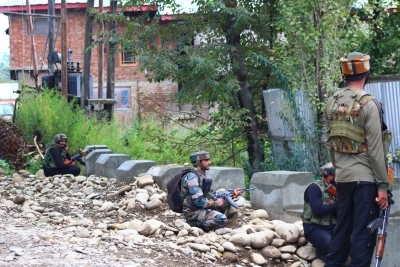 Five militants three belonging to the Lashkar-e-Taiba (LeT) and two to the Hizbul Mujahideen (HM) were killed in the gunfight that started late Friday evening and continued till the early hours of Saturday.